The Ford Mondeo is the best bargain motorists looking for a used car from 2007 can receive on the market, according to new research. Carcraft found that the Mondeo 1.8 LX has an average depreciation rate of 51 per cent, meaning that it can be picked up for £7,799 second-hand against £15,980 new. High rates of depreciation were also recorded in the Vauxhall Vectra 1.8 VVT SRI (50 per cent), Vauxhall Astra 1.6 SXI (41 per cent) and Ford Focus Titanium 1.8 TDCi (38 per cent). According to Carcraft managing director Barry Nightingale, the class of 2007 has produced some "excellent deals". "Over recent months the volumes of three to six month old cars in stock have reached an all time high, meaning that customers have more choice than ever before when it comes to finding quality used cars," he said. 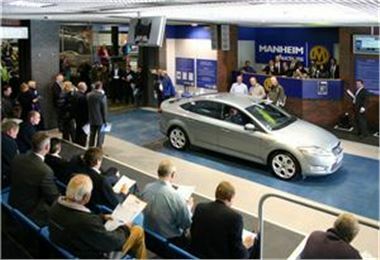 The Ford Mondeo has been in production since 1993.